Would that be of interest to you? Do you think it could help get you back on track and help you reach your goals? If so let me know!! I am opening up a new ‪#‎FREE‬ 2 week Support group that will START June 6th. Just enough time to recover from your Memorial day shenanigans. Look I know we all WANT to be healthy and fit, but our excuses get in the way. I have them too! This system has worked so well for me and I want to help as many people discover what true happiness and health feels like. You will have my support all 2 weeks. It won't cost you a dime. You will get to experience what my challengers experience and find which programs you like without having to invest anything ahead of time. So who is ready to give it a shot? 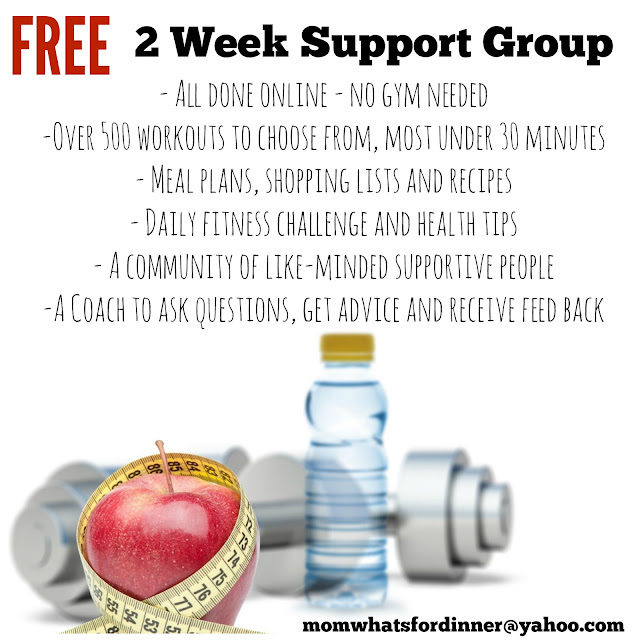 Email me: momwhatsfordinner@yahoo.com so I can send you the link to get all set up with FREE access! Looking forward to helping you achieve your goals!